No matter how long you’ve been playing League of Legends for, trying to get better is a constant struggle for many players. With so many things to learn and so many areas to improve on, knowing where to start can be daunting. To help you on your quest to become the best player you can be, we’ve got plenty of tips to help you get better at League of Legends. These 6 quick tips will help you break out of your current division and take your gameplay to the next level. 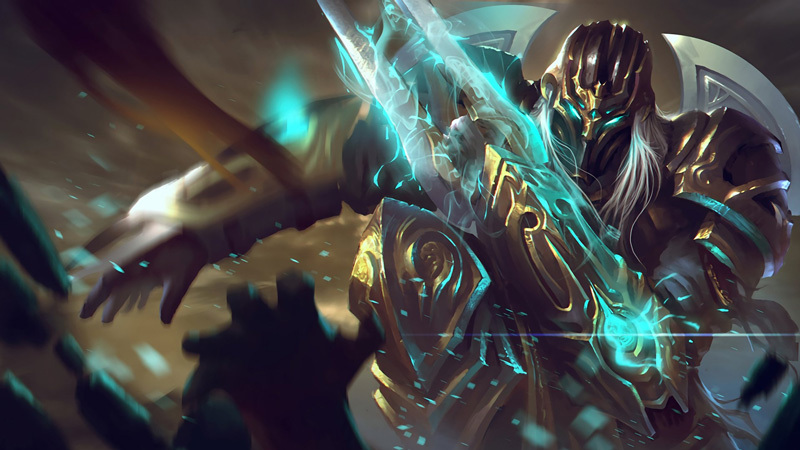 So pay attention, this is your essential guide on how to get better at League of Legends. It’s easy to free yourself of all blame and pin it on someone else, but this is seriously negative for two reasons; The first is that when you blame someone else, they will probably spend their time arguing with you. If they’re arguing, they’ll play worse, and by playing worse, they will confirm your belief that they’re trash. In essence, arguing with someone takes the game from a 5v5 to a 5v4, or worse. In some players cases, simply seeing someone moan is enough to ruin their morale, so think before you type. If you do wish to insult their mothers, try to do it in real life, where they can’t hear you. The second reason it’s so bad is that it stops you from seeing your own mistakes, after all; It’s all their fault! If this Jungler ganked more it would be GG already. Right? It’s so hard to learn from your mistakes though, especially during a stressful game. Don’t worry, we’ve got just the strategy to help you improve. You can’t pay attention to the mistake you’re making while playing – Perhaps you’ll notice some if they’re obvious, but people hate noticing mistakes under the best circumstances, and being raged at is not the best circumstance. If you’re someone who’s been struggling to climb the ranked ladder for a while, you should definitely watch your recordings. 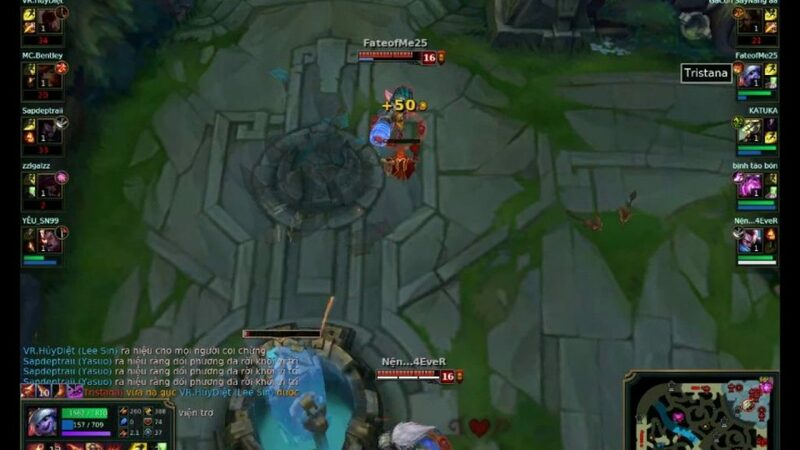 Try to watch the defeats if you can; It will be painful to watch yourself getting crushed over and over – however, you’ll learn infinitely more than you would if you watch yourself rekking noobs. Try to watch for one specific thing; How could I improve my last hitting, how can I position better, am I rotating at the right time? Not only will this make you feel less stressed, as you don’t have as much to focus on, you’ll still notice other errors anyway! 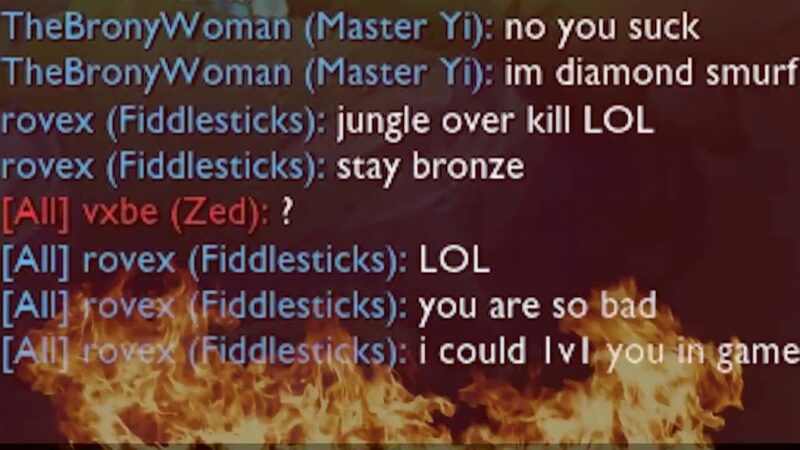 Perhaps you should have flashed sooner, or maybe your map awareness was off because you were having a row with the Jungler. Our first tip to help you get better at League of Legends is to make sure you have a good team. No matter how good you are, carrying an entire game on your own can be very challenging, even for the most experienced player. When you join a game in LoL, the chances are you won’t know any of the other players and their history. This means you could be matched with a ton of smurfs, or a lot of noobs. To prevent yourself from being matched with noobs, it’s best if you can group up with players that you already know. They don’t have to be friends you know in real life, but as long as they’re good and you’ve played with them before, it’s better than having a group of strangers. If you’ve played with these players before, then it also means that you can voice chat with them. Voice chat is essential for good team communication and will significantly increase your chances of winning. Having an experienced team with excellent communication is a solid foundation if you want to get better and win more games. 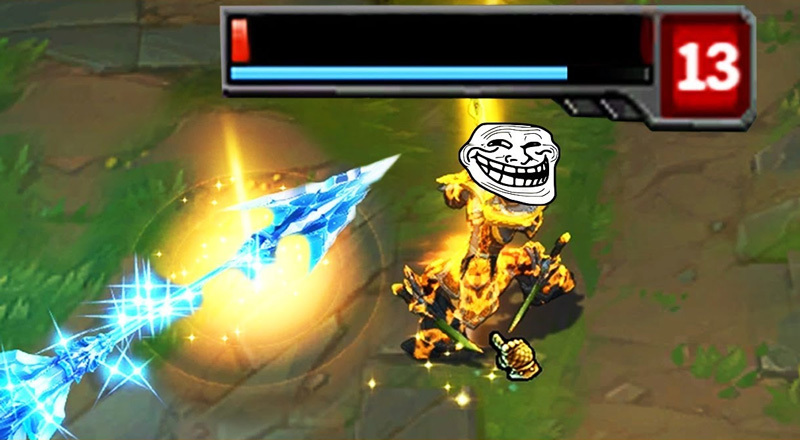 The next tip to make you better at League of Legends is to practice your flashing skills. Flash is an essential summoner spell that needs to be mastered. Not only can it help you escape from enemies, but it can also help you catch them off guard. 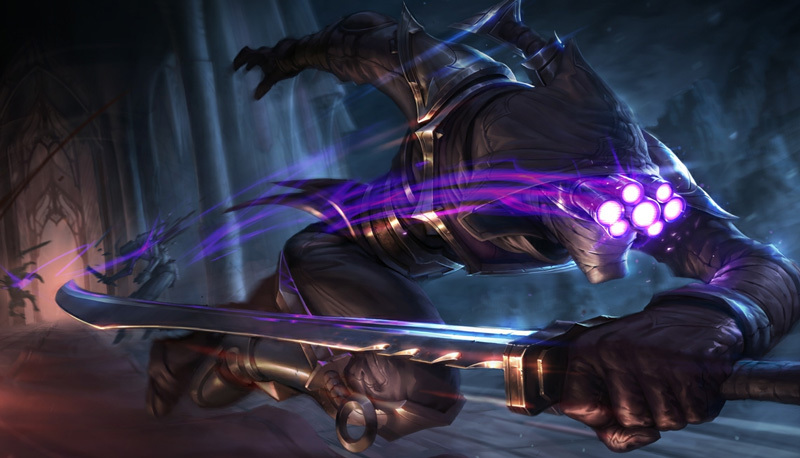 If you’ve watched enough pro-League of Legends matches, then you’ll see them flashing to steal Baron all the time. In order to get good at flashing over walls and obstacles, you need to put in a lot of practice. To do this, we suggest opening a sandbox game that allows you to practice flashing without having to wait for the cooldown. This means you can flash multiple times almost instantly; this is great for finding those areas that allow you to flash over terrain. By exploring the map in the sandbox mode and practicing your flashing, you will gain a good idea of the areas where you can and can’t flash over walls. With enough practice, you’ll soon master the art of flashing and be able to escape and engage enemies much better in game. One of the biggest factors which separates an average player from a pro player in League of Legends is their ability to last hit. Being good at last hitting can give you a massive gold advantage in game over and getting good at it can really boost your win rate. It might not seem like a lot but a few extra creep score here, and there can give you a large gold advantage later on in the game. This means you’ll have more gold to spend on items which makes your champion much stronger. In order to get good at last hitting, you need to put in a lot of practice, similar to that of practicing your flashes. Like we suggested earlier, the best way to do this is by opening a sandbox game and focusing on getting those last hits. It might be hard when you first start out, but as you get more experienced with your champion, it will soon become natural. The primary things to look out for are: how much damage does your auto attack does, and which minion is being attacked. 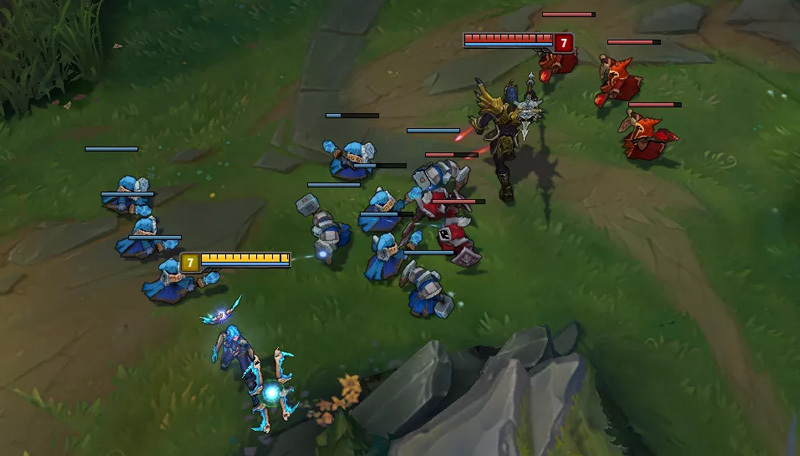 If two or more minions are on low health and are going to die then using one of your abilities is a good way to make sure you get them both. Over time you’ll soon notice an improvement in your last hitting which will do wonders for your when up against opponents. When you first start playing League of Legends, you can often feel spoilt for choice when it comes to champions. Currently, there are around 138 champions available with new ones being released every few months. Players can often be tempted to try and learn as many as possible, but this is the wrong advice. Instead, it’s much better to master 1 champion inside out before moving on to another. Of course, it’s always good to have a backup champ in case yours gets banned, but would you rather be an expert at 1 or average at both? If you really want to win more games, then being at expert at 1 individual champion is the best option. By practicing a particular champion, not only will you learn their skills and abilities, but you’ll also learn their builds and individual matchups. Knowing how to tackle different champions is often the difference between an average and experienced player. Using the same build over and over again will only get your so far. By knowing how to adapt and deviate from your original build, you stand a much better chance of beating opponents in lane. When it comes to League of Legends meta, if a champion is broken, then you play that champion until it’s fixed. If you want to know which champions are broken, then you need to keep up to date with the meta. To do this, you need to look at patch updates and keep track of what other players are playing. An excellent website to see which champions are broken is NerfPlz. Not only do they have a nice up to date tier list of all the best champions, but they also do a lot of posts on upcoming game changes. Another website to keep you up to date with updates is SurrenderAt20. Primarily focusing on forthcoming LoL news, they are almost always first for new PBE patches and leaked updates! By keeping an eye out on these websites, you should be able to tell which champions are OP and how new changes will affect the game. Most new champions that Riot release are often broken and require a bit of tuning to make sure they are not too powerful. This is often the best time to play them as you can really take advantage of their power and give yourself a win streak boost. They might take a while to learn, but the reward is definitely worth it. Trying to play League of Legends on a potato is hard work. A PC that continually lags and freezes can be a nightmare for many players as it can be very distracting and make you miss a lot of plays. 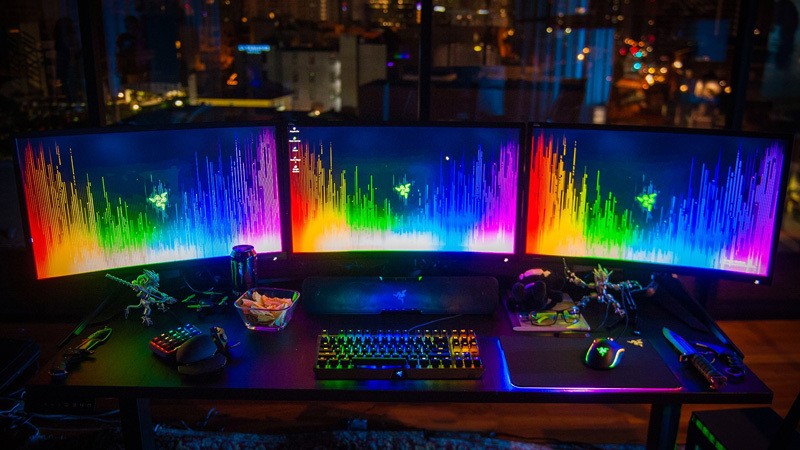 If you want to become better at League of Legends then here’s a secret: get a good setup! Having a PC that allows you to play League of Legends smoothly with no interruptions is essential. To start off with your should read our League of Legend system requirements post to make sure your PC is capable of running LoL smoothly. If it’s not then you should consider buying a new laptop, or upgrading your existing desktop. You should also consider getting a good mouse to make sure you can last hit minions well. After all, last hits are mainly to do with your mouse precision. By getting a good setup, you can rid yourself of the most common LoL problems such as lag, freezing and disconnects. All of these stop you from winning games no matter how hard you try. Now you know how to get better at League of Legends, you need to put in the time and effort. We might have given you the tips on what to do, but without taking action you’ll never get anywhere. Improve your gameplay today by following our simple tips.